If you’re into edible landscaping, figs are a must have in regions with mild climates. Deciduous fig trees can add beautiful foliage texture and contrast to the landscape, and also serve as a featured focal point. The trees offer a Mediterranean appeal to your water-wise landscape. Most fig trees are of a medium size, reaching 20-35’ tall and wide. If you are looking for trees to fit a smaller-scale urban garden, choose either ‘Black Jack’, which grows 6-12’ tall and wide with annual pruning, or ‘Conadria’ reaching 10-15’ tall and wide. ‘Black Jack’, as the name implies, produces a deep brown colored fruit. ‘Conadria’ produces a larger green fruit. ‘Kadota’ grows 15-25’ tall and wide and produces a green colored fruit. ‘Brown Turkey’ is the most commonly planted fig due to its prolific nature; plants often produce twice per year, late summer and early fall. Fruit is a deep purple brown color. ‘Brown Turkey’ grows 15-25’ tall and wide. 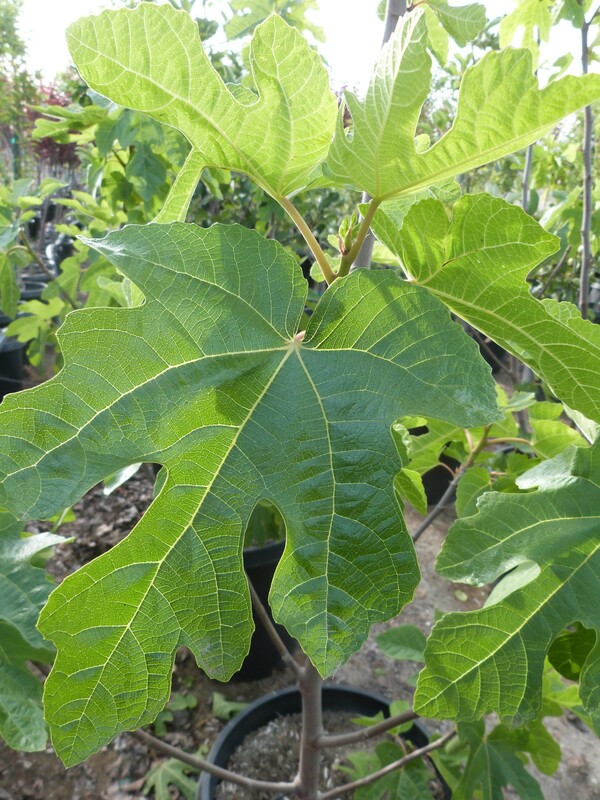 ‘Mission’ is the largest growing fig reaching 25-35’ tall in its lifetime, while producing sweet purple-black fruit that contrasts beautifully against its large lobed medium green foliage.